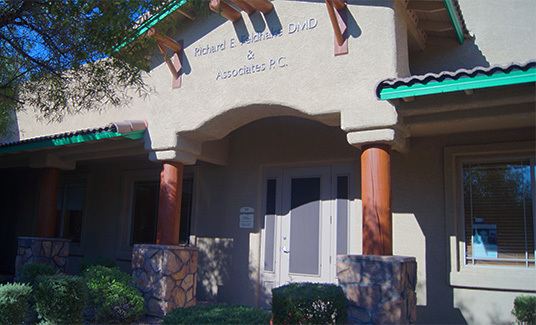 Dr. Richard Feldhake provides compassionate comprehensive dental care in Scottsdale. With over 50 years of combined experience, he and his associates, Dr. Kimberly Fulton and Dr. Benjamin Wachter, are able to offer a range of personalized general, cosmetic, and restorative dental services to meet the unique needs of our patients. 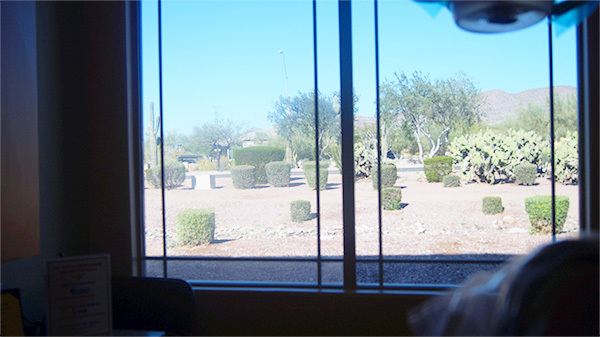 Why Choose our Feldhake & Associates Scottsdale Office? We treat all ages starting at one year of age. With a focus on providing a safe and relaxing environment for our youngest patients, we can prevent the development of any ingrained fears of seeing the dentist. We offer preventive treatments to combat early decay and provide valuable information for the whole family. Comfort, safety, and trust remain a priority with all our maturing patients, along with addressing any cosmetic or restorative treatments you may need. Many of our patients seeking cosmetic dental care are happy to discover that at Feldhake & Associates, we offer veneers, Lumineers®, and teeth whitening along with options for complete dental restoration. Our restorations are made from quality materials such as ceramic, porcelain, zirconium, gold, and e.max. With a meticulous dedication to functional and cosmetic improvements, we consistently deliver excellent results for our patients. To help our patients with dental anxieties achieve ideal oral health, our team offers different levels of sedation including nitrous, oral sedation, a combination of the two, or I.V. sedation options. Our Scottsdale sedation dentists discuss medical histories, current medications and level of anxiety before determining which sedation method will work the best. Enjoy beautiful views from your dental chair! Dr. Feldhake can also help you achieve a straighter smile with Invisalign® clear braces. Once thought to correct only mild crowding and spacing issue, the Invisalign system has proven itself to be effective in even some complex orthodontic cases. Our Scottsdale dental team believe that everyone deserves a healthy and beautiful smile throughout their lifetime and are proud to have built long-term trusting relationships with our patients. If you work or live in the Scottsdale area, you can rest assured that our ability to provide advanced care is supported by our commitment to continued education, which keeps us up-to-date with all new and emerging dental techniques. This, along with our skill and decades of experience means you can trust that you’re in good hands with our Scottsdale Dentists. Contact our dental office to learn more about our advanced general dental services or to schedule an appointment. We look forward to being your Scottsdale dentists!